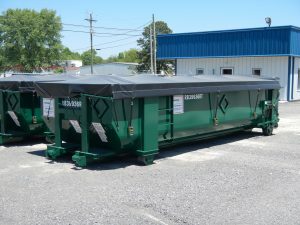 Roll-off sludge containers come standard in 20, 25, 30, and 40 cubic yard capacities. Our radius bottom containers have ¼” floors and 3/16” side walls. All containers are water tested and come standard with a side roll tarp. Custom sizes, dewatering baskets and other modifications are available as well. Contact Pinnacle to learn more!